The sports option for the young climbers of the house. From 8 to 12 years old, the Campus Gorilla offers the possibility to practice mountain sports in the open air by experienced and certified mountain guides. 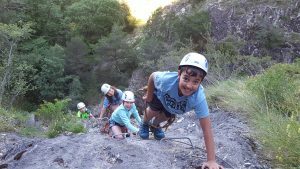 Canyoning, guided rock climbing or adventure circuits are some of the activities we enjoy in our daytime mountain camps. 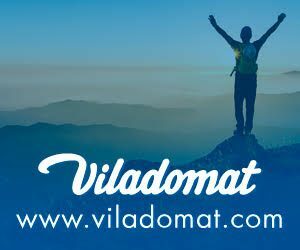 Two weeks camp in July and August, from 8:00 a.m. to 6:00 p.m. and having lunch in the village of Ordino between activities. A quiet afternoon by the pool or a hike to the Estanyó glacial lake in the Natural Park of Sorteny, they also have a place on the campus designed for the most adventurous of the family. A maximum of 20 children per session will enjoy adventure sports in our parish, learning about mountain safety, respect for the environment in which we move and other values ​​such as companionship, effort or teamwork. Campus Gorilla is not just doing activities, it’s living them from a 360 degree perspective. 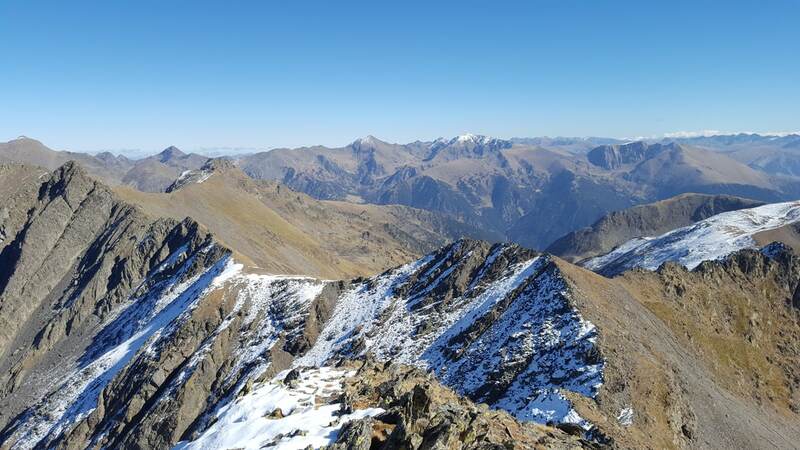 During the 5 days of the campus, we want to train small mountaineers, create nature lovers and ambassadors of the Pyrenean heritage. We want to create bonding between our young participants and the environment, making them love the land that welcomes us in our playful-educational days, either hanging from the walls or walking through alpine meadows, in the ravines where there Pyrenean triton live or in the forest, the habitat of woodpeckers. 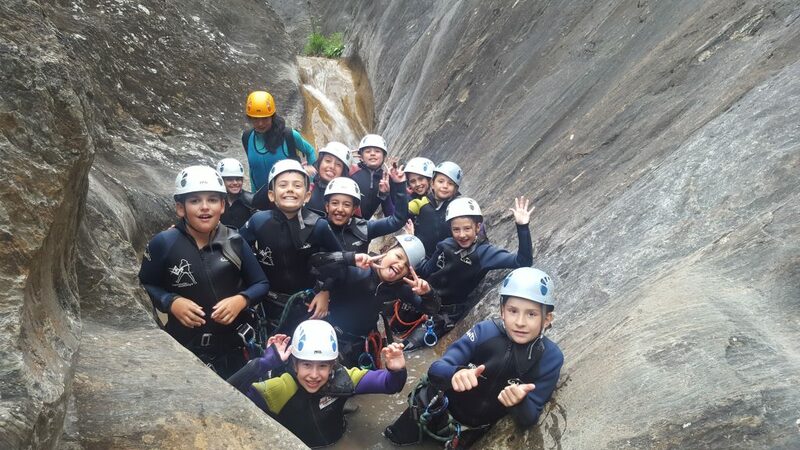 Hiking, orientation, slackline, swimming pool, orientation race, canyoning, adventure circuit and via ferrata. Schedule: from 8:45 a.m. to 6 p.m.